Tom began Sawback in 1995. He spends his winters ski guiding across Western Canada and beyond. Summers are a split between alpine guiding and helping run Churchill River Canoe Outfitters in Saskatchewan. Conrad works mainly as a Public Safety Specialist with Banff National Park and mixes in ski and alpine guiding into his schedule. Rob and I partner to bring his US guests across the border to experience the amazing powder skiing Canada has to offer. Rob runs Vetta Mountain Guides out of Boulder , CO and is the author of The Mountain Guide Manual. Jörg runs OnTop Mountaineering out of Canmore, AB. Originally from Heidelberg, Germany Jörg settled in Canada many years ago attracted by the incredible heli-skiing. 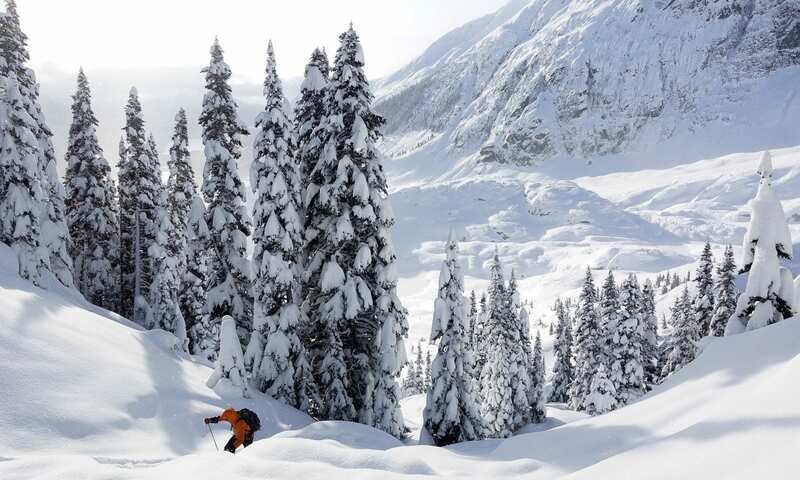 He still heli-skis winters in western Canada and operates his guiding business world-wide. Eric grew up in the Bow Valley and has his ACMG Assistant Hiking Guide certification. He is currently pursuing his Ski Guide certification and has been coaching high performance cross country ski athletes since 2007. Thomas keeps busy ski guiding and running Canmore’s Paintbox Lodge, Giv’er Grandi Ski Club at Norquay, and his newest venture Talus Lodge with his wife Sara. Larry has worked as a guide since 1986 and in the avalanche industry since 1981. He still loves the work and sharing the mountains with guests. His favorite trips are exploring new places with enjoyable people. South Georgia Island, Soviet Georgia, Iceland, Kashmir, Kamchatka and Japan are on the list for the next couple of years. Lila became one of the youngest persons to ever earn her full ski guide certification at the tender age of 22. That makes sense: she grew up at Valhalla Mountain Lodge learning the trade from her father Leo. Guiding is in her blood. Lila is calm, strong, and patient with an intimate knowledge of the Valhalla ski terrain and snowpack. We are fortunate to have her with us again for our 2020 Valhalla Mountain Lodge trip!